Sister Pat's Kids Camp is a one-week summer camp for children with cancer or life-threatening blood disorders. 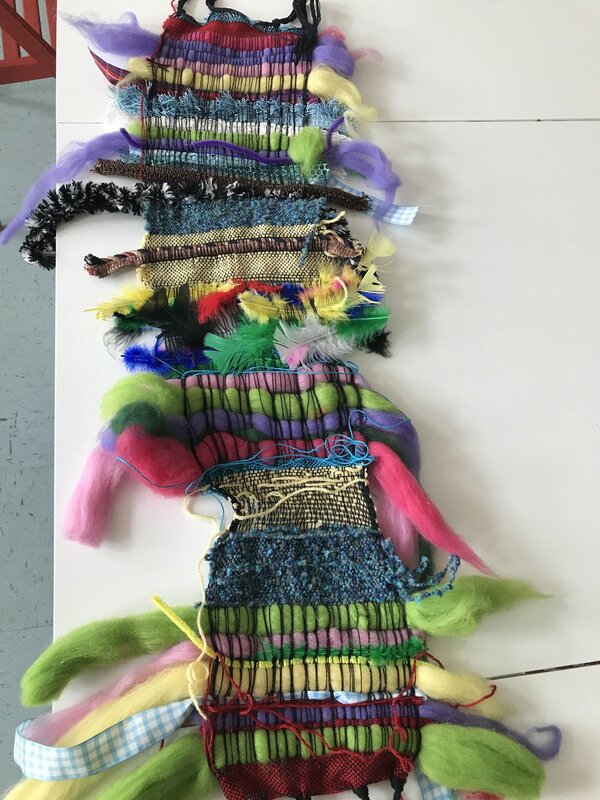 Starting in 2015, Ria Hawks has coordinated SAORI weaving in the art room for camp participants and staff. 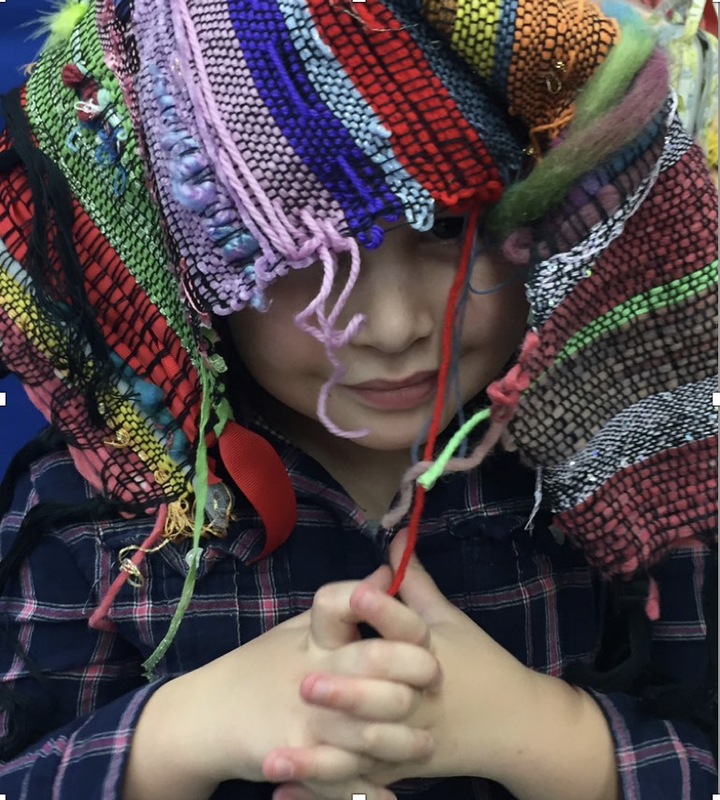 She organizes looms, materials and visiting artists to work with the children. Extreme Kids & Crew provides play-spaces where children with disabilities and their families, connect, create and learn together. Through arts- and play-based programming, kids of all ages discover their talents and forge friendships through classes, social groups and after school activities. The family education and advocacy services provided by Extreme Kids and Crew equip parents with the knowledge and emotional resources they need to advocate for their children and themselves. 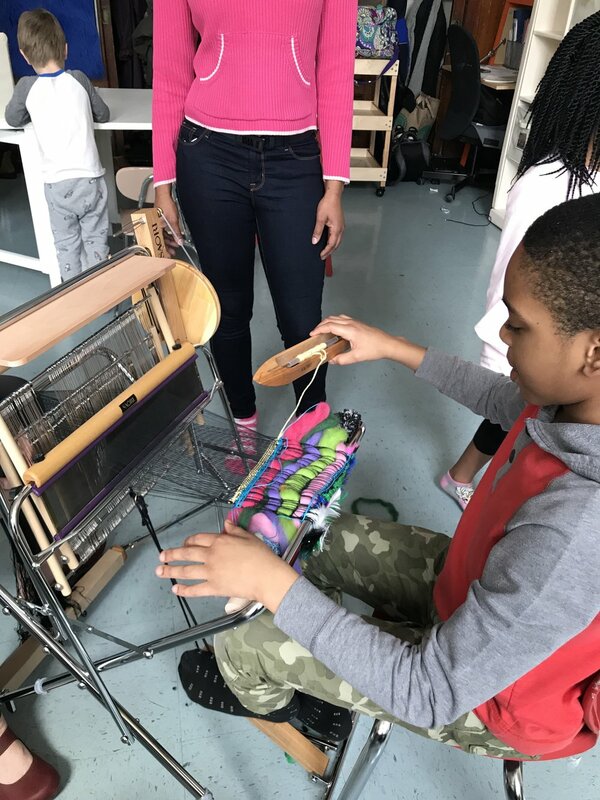 SAORI Arts NYC has hosted two weaving workshop during the weekend activity Open Play in December 2017 and April 2018. We plan to offer workshops twice a year. April 17th is almost here: the opening night of our much anticipated show! It is the overall 10th Anniversary of Loop of the Loom, as well as the first show hosted by SAORI Arts nyc! Come see the works of local designers and artists' garments created with artworks made by SAORI weavers with special needs in Japan. These weavers artworks combined with the creativity of these local fashion designers will be magical and incredibly unique. A collaboration that has never before seen in the US. This project will continue after the show, as we will be receiving more fabrics woven by people with disabilities for sale and available for making into garments. Stay tuned for updates on this project!